What Makes Project Fi Unique? While all of the carriers, including Verizon (VZ) and AT&T (T), have successfully blanketed most of the continental United States with network coverage, each suffers from unreliable or spotty service in certain regions. Much of the time, however, those areas are not the same from one carrier to the next. Project Fi offers a possible solution to consumers affected by poor cell reception. By automatically and constantly analyzing the strength and quality of the signal from both T-Mobile and Sprint towers, calls will be placed over whichever network offers the best signal. If the quality of that signal deteriorates, Project Fi devices will seamlessly transfer in-progress calls to the next best signal, even if that means moving it from one carrier to the next. 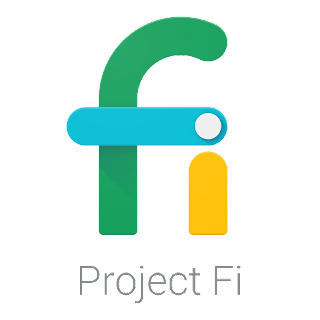 Additionally, Project Fi devices will perform the same operation when a sufficiently strong Wi-Fi signal is present. Calls will routinely switch from T-Mobile or Sprint networks to Wi-Fi, and back again, as necessary to maintain optimum quality. The automatic switching of phone calls back and forth between Wi-Fi and cellular networks could pose a risk to the nation’s current wireless big dogs. This type of cooperative feature has never existed before, and it presents consumers an opportunity to enjoy the coverage and reliability of two companies, instead of forcing them to choose only one. That, alone, will likely attract a number of new customers to Google, especially as word of Project Fi spreads. Aside from the multiple network/Wi-Fi configuration, Project Fi’s price point has the potential to disrupt the industry as well. The base service, simply called Fi Basics, costs just $20 per month and includes unlimited domestic talk and text, unlimited international texts and coverage in more than 120 countries. Data costs just $10 per gigabyte. So, a 2GB plan would cost a total of $40. The latest similar plan from Verizon costs $45 per month, but that only comes with 3GB of data. AT&T is offering 2GB for $30 or 5GB for $50. While the difference here is minimal, every dollar counts and in today’s wireless world there’s no such thing as loyalty. Project Fi will also give customers credit for unused data, while other carriers will not. Even more, customers who use more than their allotted data will only be charged for the exact amount used, compared to AT&T and Verizon who charge a flat rate of $15 per gigabyte, rounded up. Individually, these differences may seem minor, but collectively they amount to a rather significant advantage for Project Fi. If the benefits of Google’s wireless service take off, mobile device manufacturers might also feel the pressure. Smartphone buyers are often finicky, it’s true, and not everyone would want a Nexus device. But for the great number of consumers who aren’t married to their Samsung (SSNLF) Galaxy phone, the Nexus 6P or the Nexus 5x from LG (LPL) presents a viable alternative, especially considering the benefits of Project Fi that would come with it. Further, for consumers balking at the $749 price tag on the Apple (AAPL) iPhone 6s Plus, a brand new Nexus device could end up being the way to go for that long overdue upgrade. Now that Project Fi is open to everyone, GOOGL is sure to see a spike in new signups. In fact, when I read the news that Google is offering a $150 discount on a new Nexus 5X until April 7, I decided to make the switch out of my personal AT&T plan and give Project Fi a shot. My Nexus 5X should arrive within the next few days, and I’m already feeling that excited anticipation. As for investors in GOOGL, TMUS, S, T, SSNLF or AAPL stock, chances are that Project Fi won’t immediately have an impact on any of them. Down the road, however, this may not be the case. Keep an eye on Project Fi with respect to the number of new customers signing up, as that will shine light on how many people are ditching their current carriers and devices in favor of Google and a new Nexus. If management reports significant increases, competitors will start dropping rates and offering amazing deals to bring customers back.